Who was the only Indians player to be named MVP of the All-Star Game? Who is the only pitcher in team history to win at least 30 games in a season? Which Cleveland Indians player led the team in home runs during the 1960s? In 1987, the Indians had two pitchers on their staff who were later enshrined into the Hall of Fame. Who were they? 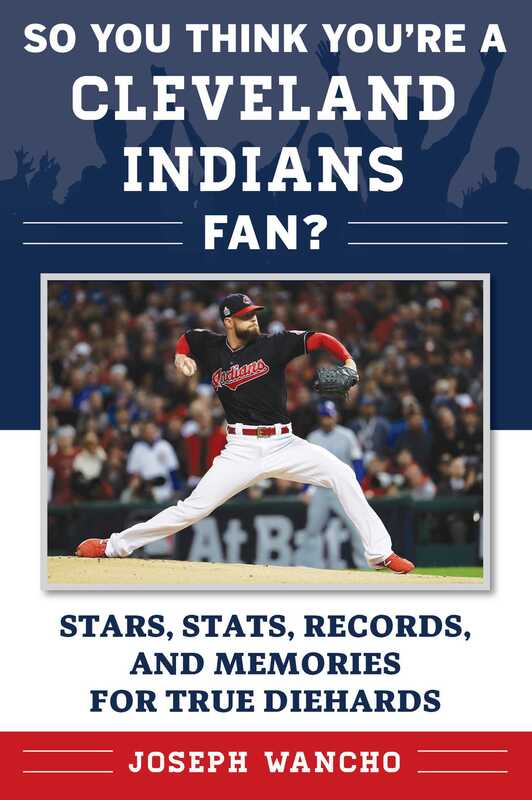 This book makes the perfect gift for any fan of the Tribe! Joseph Wancho is a lifelong Cleveland Indians fan. He has been a member of the Society for American Baseball Research (SABR) since 2005 and he serves as the chair of the Minor League Research Committee. Wancho is a frequent contributor to the Biography Project, Games Project and both the Deadball and Minor League committees. He served as editor for Pitching to the Pennant: 1954 Cleveland Indians and lives in Westlake, Ohio. Book Cover Image (jpg): So You Think You're a Cleveland Indians Fan?